Throughout its nearly 90-year history, the American National Standards Institute (ANSI) has maintained as its primary goal the enhancement of global competitiveness of U.S. business and the American quality of life by promoting and facilitating voluntary consensus standards and conformity assessment systems and promoting their integrity. But standards existed long before ANSI was formed. Let’s take a quick look across several centuries to see how standards – and their impact on commerce and society – have evolved. In the earliest days of recorded measurement, the “Royal Egyptian Cubit” was decreed to be equal to the length of the forearm from the bent elbow to the tip of the extended middle finger . . . plus the width of the palm of the hand . . . of the Pharaoh or King ruling at that time. 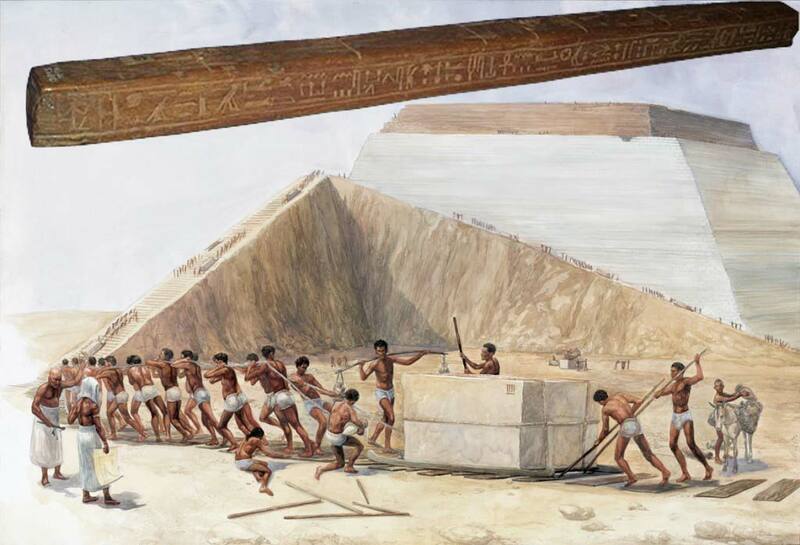 Though the method used to define a unit of measure was fixed, the measurement itself could change over time depending upon the height of the current Pharaoh or King and the lengths of his arm. Most early American railroads had their own gauges. Eventually, President Lincoln ordered that all gauges be 5 feet. Leaders in the railroad industry did not agree on this standard, eventually compromising on a measurement of four feet, eight and one-half inches (4’8.5”) throughout the nation. The U.S. measurements do not agree with the track gage of some other countries, such as in South America where the distance between rails is five feet, six inches (5’ 6”) and in South Africa where the distance is only three feet, six inches (3’6”). In New Haven, Eli Whitney, the “father of standardization” at the end of the eighteenth century, received a contract from Thomas Jefferson to produce 10,000 muskets. To allow one of the first forms of mass production, Mr. Whitney divided his work into steps and put groups to work on each step, which was unprecedented from the traditional method of having each man by himself produce a part of the musket. Whitney even appeared before Congress with a pile of parts and assembled ten muskets by picking standard parts at random. 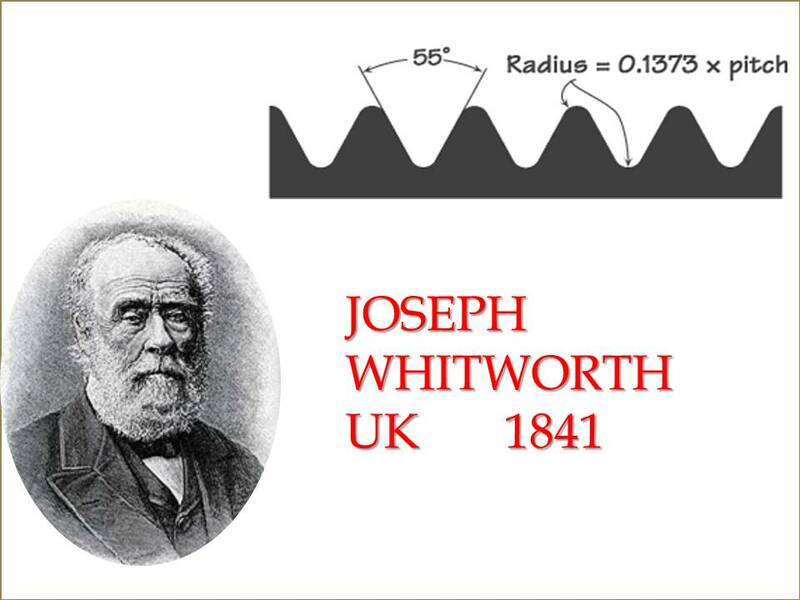 Joseph Whitworth, an engineer and toolmaker in the nineteenth century, actively promoted standardization as a means of obtaining the interchangeability of parts.He introduced the system of “end measurements” and in 1856 exhibited a measuring instrument controlled by a screw which detected differences in length as small as one millionth of an inch. It was Whitworth also who brought about the standardization of screw threads in England. Using Clement’s previous work on thread standards as a basis, he laid down the formula for the thread system which now bears his name, the “Whitworth Thread”. There now exists complete mechanical and electrical interchangeability for electric lamps, worked out by a cooperative effort of electrical manufacturers, power companies, fire insurance companies and others. These accomplishments became possible through the National Electric Code, first published in 1897. The Code provides rules for the installation, maintenance and operations of electric lines and equipment. The standardization of electrical components has permitted mass production, distribution and use of electric appliances and related equipment, resulting in better convenience, safety, and lower prices. In 1922, a safety code for grinding wheels was developed to succeed fourteen different regulations from fourteen states regulating the use of abrasive wheels.This inaugural code stated the requirements for storage, handling, operation and mounting of wheels, and for flanges, hoods, chucks and guards for protection, and for suitable materials. The manufacturers of abrasive products were no longer thwarted by the lack of uniformity in codes, therefore providing for cost savings which benefited the buyers by achieving a better product at less cost.